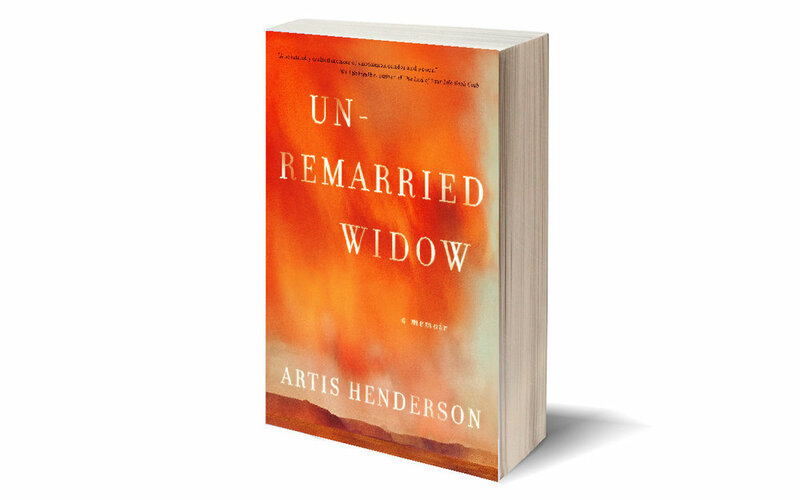 When Andria first asked me to review Artis Henderson’s debut memoir, Unremarried Widow, I was hesitant. I’d been wanting to read the book for some time, but the cliché is true: that knock on my front door really is my worst nightmare. There’s a dark corner of my mind where that nightmare lives, a place I try my best to avoid, and I knew that to read Henderson’s grief would be to go to that place and stay there for a while. And parts of Henderson’s book were painful to read – I wept when the casualty officers informed her, in standard cold military language, of her husband’s death; when she discovered a video of him among his things that he’d intended to send her before he died; when she took off her wedding ring for the first time. But, mostly, I felt awe that she’d managed to take her grief and create, with such candor and care, a powerful memoir from it. Even more surprising, I found comfort in Henderson’s story, an unexpected friend. This haunting preface casts a pall over the rest of a book, a feeling of foreboding that permeates, as Henderson says, even the “sweetest days.” And there are many sweet days, from the first afternoons of their courtship in Florida to the nights they spend in a ramshackle house outside of Fayetteville, North Carolina, holding hands as they go to sleep each night. All stories of loss are, at heart, love stories, and Henderson brings this one to life with an exquisite attention to detail, a poet’s memory for smell and sensation. “I stepped closer to Miles to breathe in his sun-warmed smell, like hay in summer,” she writes of an afternoon they spend together in limestone caverns early on in their relationship. “Even in the cold and damp he radiated heat. I still had to catch my breath with him sometimes, the way he made me feel.” These are the kinds of sensory details that love’s beginnings imprint on us, and she seems to have stored them away in perfect, untouched condition. Henderson is just 26 and four months into marriage when she becomes a widow. It’s not a fate she would have ever seen coming – Army wifehood or widowhood. When she meets Miles, she is a liberal, vehemently against the war, with spiritual leanings that are more “New Age light than biblical.” Miles is a conservative Christian from Texas who felt a call to duty when the wars started. But Henderson is attracted to his fundamental goodness that “emanates from him like heat,” and their love – which seems to often be unspoken, communicated through unseen currents that pass between them – feels right to Henderson from the beginning. But their story has its tensions and struggles. When Miles shows her the Apache gunship he’s training to fly in Iraq, she finds herself unsettled, struggling to make sense of how this man – “a man who almost never curses, who went to church every Sunday, who pressed his nose to the back of [her] neck as [they] slept – would kill other men.” It’s an unanswerable question, one I’ve circled around myself when thinking about my own husband, an Army Ranger (who curses like a sailor and does not go to church, but who has taught me more about love, kindness, and self-sacrifice than anyone I know). How to reconcile the dual impulses and identities in the men we love? Henderson avoids spending much time on the question, though – perhaps because she senses its magnitude, or perhaps for the reason most military wives don’t dwell on it for very long: It doesn’t live in the realm of our day-to-day lives. Instead, Henderson continually revisits a more mundane question: how will she navigate this Army life without losing herself, her dreams, her ambitions? It’s at the heart of her everyday as a new military wife, a question deeply familiar to me that I haven’t stopped asking. What if you love someone with your whole heart but you’re afraid that being with him means giving up the life you imagined for yourself?, Henderson writes on a folded up piece of paper during an icebreaker game with a few women she’s getting to know. She asks this question – of herself, of her mother, of her friends – continually, and yet it seems to me that she knows the answer from the beginning. After moving with Miles to dusty, hot Fort Hood, Texas, she finds herself isolated and bored, her days and sense of self slipping away. She calls her mother to ask her whether she should leave. Her mother lost her own love of her life, Henderson’s father, when a small plane he was piloting crashed with 5-year-old Henderson aboard. She never remarried. Do you love him? she asks Henderson. I love him more than anything,” I said. Perhaps my mother considered her own life then. The Mountains of north Georgia, the red earth and the daffodils in spring, my father on his tractor at the house. “Then you stay,” she said. And she does. But it’s a life she almost refuses to allow herself to settle into completely. When Miles leaves for deployment, she decides not to stay at Fort Bragg where they’re stationed but to go back home to her mother’s in Florida instead. She loathes the idea of getting ensnared in FRG (Family Readiness Group) drama. “It never occurred to me these women might be a source of support while Miles was gone, that they might comfort me if the worst happened,” she writes. This part of the book – her struggles with tedium and isolation – may be the least memorable for the average reader, but, as an Army wife who chose to leave a career in New York for a sometimes lonely life in Georgia, I drank up the words with thirst. I felt as though she were a friend reaching out an orienting hand in a world that often seems impossible to navigate without getting lost. Henderson tells her story mostly through meticulously rendered vignettes, finely drawn moments that make up her life with, and – and then, devastatingly, without – Miles. This approach can give the book a fragmented quality at times, but it also gives the memoir its vitality, a feeling not of rawness – it is too well-crafted for that – but of trueness. Reading Unremarried Widow, I sometimes felt as though I was being given access not to a narrative, molded and processed, but to Henderson’s memories: the memory of the taste of salt on Miles’s lips; of the evening she eats greasy barbecue to fill a profound hunger; of the night she sleeps with a man for the first time after Miles’s death, and realizes that kissing this new, strange mouth is what it feels like to betray someone you love. She gives it to us straight and fresh, an approach that is particularly powerful throughout the middle portion of the book: the notification of Miles’s death, and the dense forest of grief she makes her way through in its aftermath. There is a beautifully sculpted fragility to this whole section, hard to the touch but delicate, like a glass vase that could easily shatter if it were tipped off a ledge. And I suppose this is what grief does to us – both hardens us and makes us more fragile. The clearing in Henderson’s tangled forest of grief arrives via a bin of Miles’s things from Iraq. Among his uniforms and civilian clothes, she finds a beautiful “if you’re reading this” letter. The whole book turns on this letter, in a way: A year after Miles’s death, she returns to its closing words – which encourage her to live her life with decency, dreams, and ambition — as she tries to figure out what’s next for her. This section — in which she tries to forge a life after her grief — feels in some ways like the least-complete in the book, but this is in part due to the fact that it’s a period of fumbling that she’s still making her way through as she writes the memoir. It’s inspiring to see her move forward. It’s also powerful to see how she comes to understand her mother in a new way: Miles’s death gives her access to a woman who loved her husband deeply but almost never speaks of him. The most powerful aspect of this last section, though – the part that gives me the feeling that Henderson has not just survived something, but has become someone different in the process – is the bond she discovers with other military widows. At the conference she attends, she ends up meeting a group of wonderful young women, laughing with them as she hasn’t since Miles died. “Where had they been when I was trying to make a life alongside the military?” she writes. “The answer, of course, is that they had been there all along.” Henderson’s memoir – a message in a bottle on the shores of this sometimes isolating military life – has taught me quite the same lesson.